Details of payments made to doctors and hospitals in the US are now available to view online, as necessitated by the ‘Sunshine Act’ health care reforms. So what does this increased transparency mean for pharma and the public? As required by ‘Sunshine Act’ provisions of the health care reform law in the US, in late September the Centers for Medicare and Medicaid Services (CMS) launched the new Open Payments website, disclosing financial relationships between pharmaceutical and medical device companies and physicians and teaching hospitals. The pharmaceutical industry supported the Sunshine Act. For years before its passage, pharma companies worked to improve transparency, going beyond what they were then required to do, setting up their own online databases of payments to physicians and following industry codes of conduct guiding ethical relationships. In Europe, Lilly publicly discloses aggregate data on payments to healthcare professionals in the UK and, from 2016, will disclose individual level data across Europe, in line with guidance from the European Federation of Pharmaceutical Industries and Associations (EFPIA). Such transparency can help alleviate public concerns about these necessary and appropriate relationships. Physicians naturally play key roles in pharma’s efforts to develop new medicines and to educate health care professionals about their use. In fact, more than 500 full-time Lilly employees are physicians. Yet, looming over the working relationships between manufacturers and outside physicians is a suspicion that companies are just paying doctors to prescribe their products. Transparency can help alleviate that suspicion, but the key to meaningful transparency is to put payments in context. Without such context, headline numbers don’t mean much – and indeed may be misleading. The figures reported on the CMS website – $3.5 billion in financial relationships – amount to less than 1 per cent of US sales of pharmaceuticals and medical devices in 2013. One doctor highlighted by Jonathan Rockoff of the Wall Street Journal had $7.4 million in payments from a medical device maker listed on the CMS website. But, as Rockoff reported, that sum actually represented royalties on a minimally invasive shoulder surgery the physician invented. There are very good reasons for pharma companies to contract with physicians. That’s why transparency is welcomed. Based on data from companies that have maintained databases prior to the Open Payments website, about two-thirds of physician financial relationships relate to clinical research. Clinical trials of potential new medicines, conducted by independent researchers in hundreds or thousands of patients, are required for approval of new medicines. Sceptics point to speaking and advising fees as concealed inducements to prescribe products. But pharma needs physicians’ expertise as it develops promising molecules. In the past, the industry has been criticised for not listening enough to physicians and patients. Similarly, we depend on physicians to help educate their colleagues about new treatment options, because a medicine can’t be effective if it doesn’t reach the right patients. According to the Pharmaceutical Research and Manufacturers of America (PhRMA) Code on Interactions with Healthcare Professionals, speakers must clearly identify the company on whose behalf they are presenting. And, of course, they must also adhere to the strict regulations that govern all pharma’s communications about its medicines. Travel and meals are particular sources of suspicion. Even though they’re a normal part of doing business in any field, the public’s concerns and the need to build public trust must be recognised. Strict internal policies are needed on qualified expenses to ensure that paying for a trip or a meal is not a veiled attempt to ‘buy the business’. And a full accounting of payments is needed so that the public can judge for itself. From my work with physicians I can say, without a doubt, that doctors around the world prescribe medicines that they believe will best meet their patients’ needs. And I believe that effective and appropriate relationships with physicians and medical institutions are essential aspects of the industry’s efforts to improve individual patient outcomes, to help guide development of new medicines that address patient needs, to inform health care professionals and patients about various diseases and treatment options, and to educate patients about how to use our medicines. I believe that’s the context for understanding the Open Payments database, and it’s why this new level of transparency is to be welcomed. We will continue to work with CMS to help it provide data disclosures that are meaningful and easy to understand. And we are committed to maintaining the highest ethical standards in relationships with physicians around the world. Ashish Kalgaonkar is senior director, Global HCP Transparency, at Lilly. He leads the company’s HCP transparency efforts to assure the company is appropriately disclosing its financial relationships with physicians and teaching hospitals. A graduate of the Columbia University School of Business, he has held many leadership roles since joining Lilly in 2001. 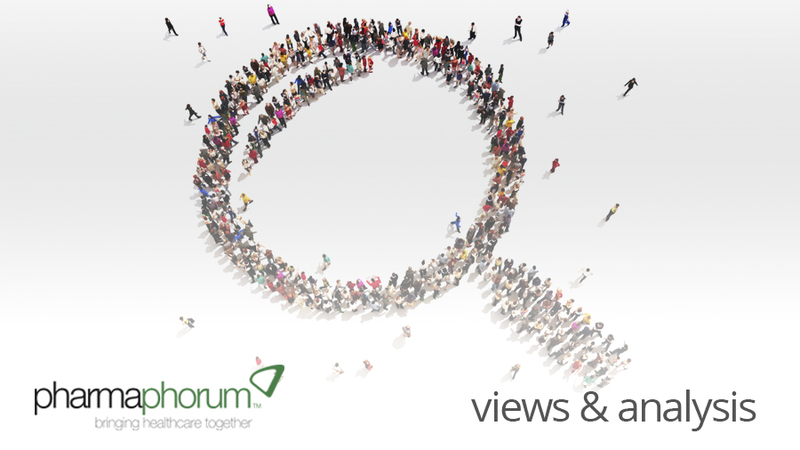 Have your say: What more can pharma do to improve transparency?